Following on from an earlier post, Bill Smith in Iowa forwarded this link to a video of WLW’s very powerful transmitter. Thanks to Mark Nicholls for posting this link to Radioworld’s 2008 article on the demise of the last of VOA’s wartime transmitting stations. VOA Delano, California on the West Coast of the USA provided a formidable signal into the Pacific. This link was published in the December 2008 DX Times and it is still a great website of American Broadcasting History with heaps of downloadable stuff. Old American radio books and magazines can be accessed on the Internet in full PDF form at http://www.americanradiohistory.com/ There are about 100 Whites and Stevensons’ Logs, Radex issues from 1926 onwards, and Broadcasting Yearbooks from the 1940s and 1950’s. 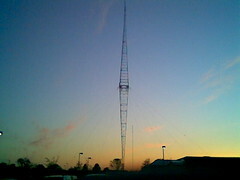 Yet another international broadcaster joins the pantheon of former shortwave broadcasters. The degradation of Greek Radio is going on, having shortwave radio “Voice of Greece” as a victim. This includes 39 shortwave antenna masts hosted in Avlis, which the government plans to sell as scrap metal. 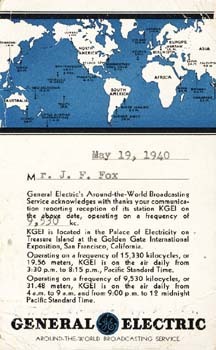 The shortwave service started 75 years ago and it is still transmitting in 5 frequencies that cover the globe with shows in Greek for expatriates and foreign language news. The facilities are currently controlled by redundant ERT employes and broadcast the guerilla service of the Greek National Radio ERA. Eighteen months ago, shortwave facilities in Thessaloniki were dismantled. Ever Wondered What Radio Kiribati Sounds Like? Then click on this link on Paul Walker’s On Air DJ website. ‘For your listening pleasure, another aircheck/recording of Radio Kiribati AM 1440. Operating with 10,000 Watts from about 1000 miles south of Hawaii. I got another aircheck on CD via regular mail today and thought I’d share it with others. http://www.onairdj.com/RadioKiribati_1440Khz_August2013.mp3Radio Kiribati only does one hour of english programming each night at 6pm. A few notes of interest from my point of view…..To a person like me who isn’t up on languages, it sounds as if the Kiribati language has some hints of some Asian language like Japanese/Chinese almost. Could it be that the AM band survives FM, Pandora, DAB, satellite and the internet threat, only to fall victim to interference from smart phones and digital devices? In addition to the tablets, smart phones etc, more and more household appliances are utilising inverters for voltage regulation and speed control in an effort to improve efficiency and earn more energy stars. In commerce and industry, inverters and variable speed drives are widely used for motor control, to reduce starting currents and offer other control benefits. AWR’s Agat, Guam is getting an upgrade. Right now, construction of a 229-foot, 5th antenna tower is underway with work scheduled for completion in June 2014. More on this story at AWR’s website.